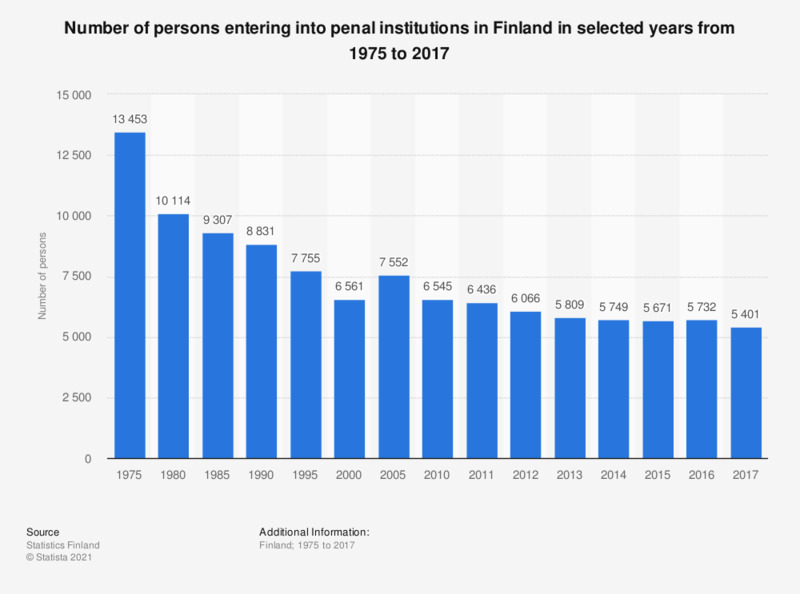 This statistic shows the number of persons entering penal institutions in Finland from 1975 to 2017. During the period under survey, the number was the highest in 1975 with more than thirteen thousand people entering into penal institutions from freedom. The corresponding figure in 2017 was 5,401 persons. According to the source the figure for 1980 also includes persons examined for vagrancy.